You were quoted in Publishers Weekly saying the New York Review Comics imprint is seeking “stuff from everywhere. It’s not going to be just really literary comics.” I wonder if you could talk about that more – do you see an over-emphasis on a certain kind of comic in current American publishing? Part of what I meant was that we are committed to doing a wider range of stuff than simply long-form narrative comics. 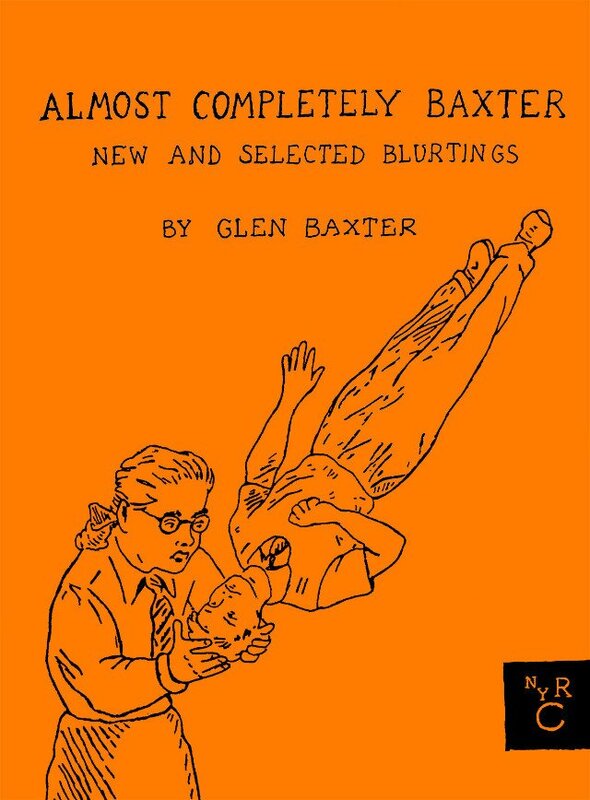 Both Lucas [Adams] and I believe strongly that single-panel works, for instance, deserve the same kind of attention, and that our series wouldn’t be complete without them — without the brilliant Glen Baxter, and the absolutely inimitable Abner Dean, and so on. I do think there’s sometimes been a tendency, when non-comics publishers approach comics, to focus on books that do recognizably “serious” things: nonfiction comics on worthy subjects, and graphic novels with elaborate literary structures and characters. It’s a way of saying that hey, comics can do it too — they’re real books! And plenty of really good comics fall into those categories, including some that we’ll be doing. But I think that what’s most interesting and exciting about comics is not how they can do what prose novels or journalism already do, but that they can do things no other medium can: how they form something unique and powerful, with its own possibilities to be explored. 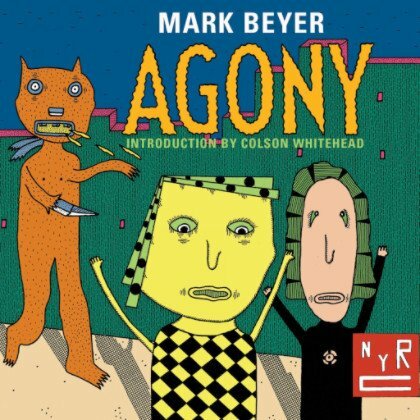 So a book like Agony, which we kicked off the imprint with last spring, or Soft City (excerpted in The Arkansas International 1 and online): they have pretty limited dialogue and uncomplicated plotting, yet they are extraordinary works of art, unsettling and thrilling and strange and but totally immediate and accessible — all of it a result of the rhythm of the panels and pages, the idiosyncrasy of the lines, the warped, expressive geometry of the worlds Beyer and Pushwagner create. They could only ever be comics, and that’s a large part of what makes them so great. Perhaps related to the above — what do you see as the mission of the imprint? Can you talk about Soft City, Pushwagner, and the process of bringing that book to an American audience? What excited you about the book? Basically, the first time we saw Soft City — it was suggested to us by a couple people, early on in our planning of the series — it blew our minds. It’s warm and funny and cold and terrifying, epic and overwhelming and intimate and handmade, all at once, on basically every page. And this was done in the early 70s! By someone who never made another comic! It just seemed perfect, and it seemed crazy that it had never been published in America, since it’s so driven by a fear and love of America, and American pop culture, and still has so much to say about American society. Beyond that, there was Pushwagner himself, who’s this strange, fascinating figure, wildly famous in Norway but practically unknown here; he’s a sort of Scandinavian William S. Burroughs. So we knew immediately that we wanted to publish the book, and after that is was just a matter of trying to figure out the best way to bring it to people here. Chris Ware (who had first told me about the book in the first place, and is one of my comics heroes) was crucial: he did a brilliant new introduction and new cover for our edition, which I think helps put across a lot of the strangeness and power of the thing. And we added an afterword by the critic Martin Herbert, getting into some of the back story of Pushwagner and his wider artistic context. I think all of that will help an American audience get grips with it. But really, the most important thing we did was just print the book. Soft City speaks for itself — there’s never been anything like it. The relationship of text to image in comics is different from more purely text-based narrative arts, and sometimes quite difficult to define. Regarding translation, do feel this image-text relationship complicates the process of translating a work? A little. The main difficulty is that an artist’s lettering is usually a really expressive, important part of the work. It’s a lovely thing about comics, that often every last word comes to you in the artist’s handwriting, that the word and the image are in the same hand, with the same idiosyncrasies. When you translate, some of that unity and uniqueness can get lost. But you just have to do your best: the late, very talented cartoonist Jess Johnson did the new lettering for Blutch’s Peplum, for instance, the first translation in the series, and I think did a wonderful job preserving the slightly loopy, off-kilter quality of Blutch’s writing. Dominique Goblet’s Pretending Is Lying, which we’ll be publishing in February, has just wild, totally inimitable lettering in French, sometimes scrawled all over the page. So for that, we had Goblet herself do the lettering in English too — so it’ll be different, of course, but with the same freedom, and in the same hand. What are some of the factors you feel need consideration when bringing out-of-print or international comics to American audiences? You know, I’m not sure. A lot of the time we’ve been doing our best not to think too much about the audience, actually. We’re just trying to pick books that we really, really love, and have faith that the audience will be there for them. Although a lot has changed in American comics readership the last 25 years or so, the prevailing notion is that places like Japan, France, and Belgium still seem to be more inclusive toward the genre than the U.S. Would you agree with that statement, and why or why not? Yeah, it’s still true, I think. They just publish more of them — the numbers I kept seeing last year were that comics make up 12.5% of the books published in France, and 3% in the US — which means there’s more room for different types of work, more of an audience, more attention. But it’s definitely changing in the US. Right now seems like the best it’s ever been, actually, with great stuff coming out all the time, in all sorts of forms, and more and more openness to it. It’s an exciting time. What comics are you reading right now; what’s getting you excited? CF is one of my all-time favorite artists — delicate and weird and almost accidentally beautiful — and I’ve been wrestling off and on with his Clean Sweep: a set of comics printed on little twenty-five-foot scrolls, using a receipt printer. It’s totally nuts. I’ve also been reading a really silly amount of Hellboy, which I blame on the election. Gabriel Winslow-Yost is co-editor of New York Review Comics, and an assistant editor at The New York Review of Books. His writing has appeared in the NYRB, n+1, The New Yorker online, and elsewhere.